Disclosure: This shop has been compensated by Collective Bias, Inc. and its advertiser. All opinions are mine alone. #SummerVino #VeranoSutter #CollectiveBias The following content is intended for readers who are 21 or older. 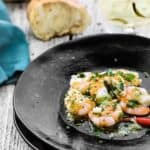 If you love Spanish tapas as much as I do you need to try this Spanish Style Garlic Shrimp recipe (gambas al ajillo) They’re easy to make, flavorful, and will be ready in 15 minutes or less. 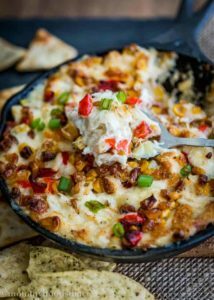 Perfect for busy weeknights or for entertaining. 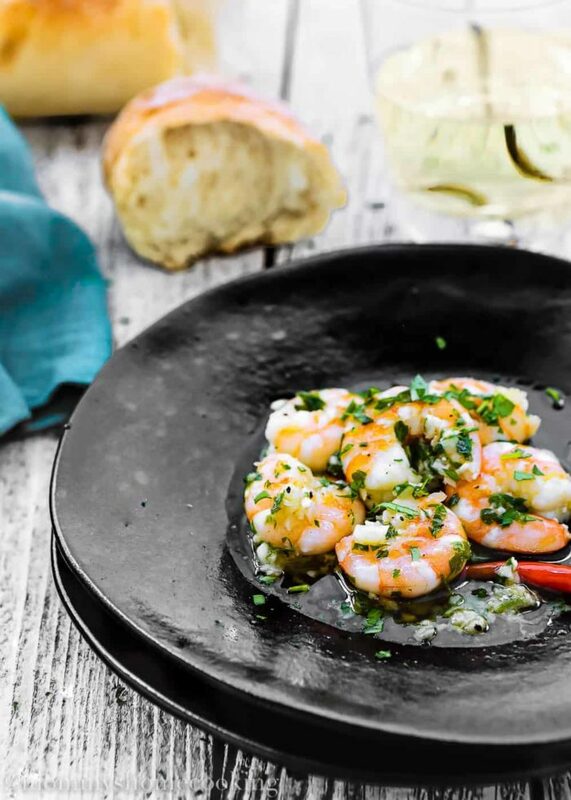 Because it’s summer and because I think I’m kinda, sorta… Okay, really really obsessed with seafood, it’s time for another shrimp recipe. 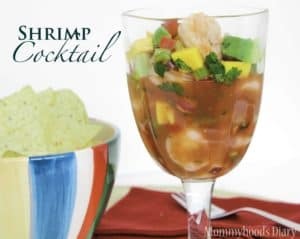 If you take a look to my latest recipes, you’ll notice that I really love cooking shrimp. I think this is because they’re tasty, juicy, and oh, so good for you. Plus, they can be whipped up in the blink of an eye. Can you blame me?. I’m no stranger to Spanish tapas. And we go way back. It’s a love affair that I don’t think will ever go away. 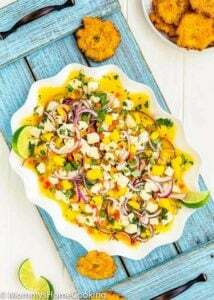 So every time I have a chance I like to make Tortilla de Patatas (Spanish omelette with potatoes), Ensaladilla rusa (potato salad with tuna, carrots, peas and mayonnaise), Papas Bravas (fried potatoes with spicy tomato sauce), and of course, Spanish Style Garlic Shrimp, a.k.a Gambas al ajillo. 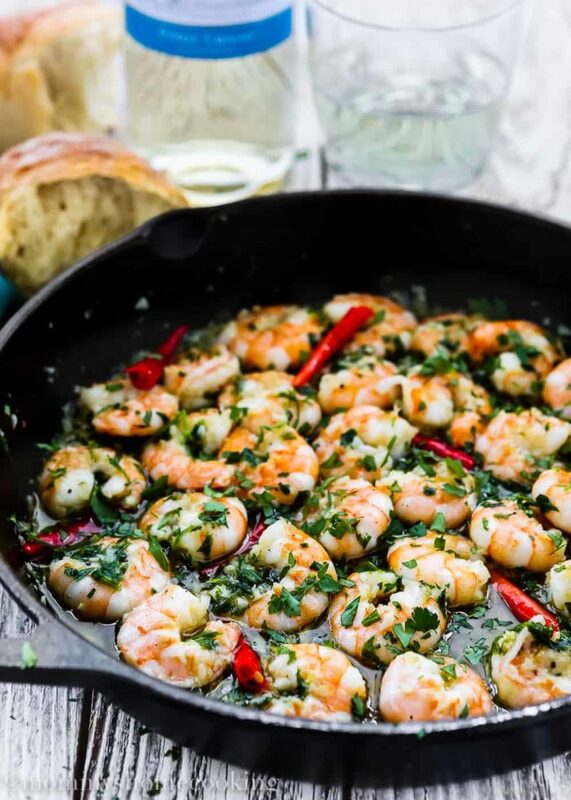 These Spanish Style Garlic Shrimp are juicy and tender with a super delicious sauce, which is made with lots of garlic and white wine. Sutter Home truly offers something for everyone, with so many different varietals. 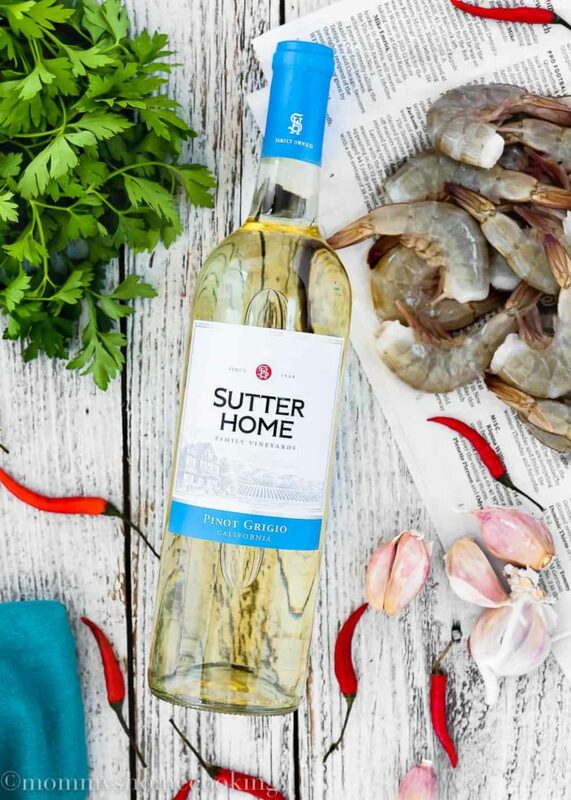 Sutter Home Pinot Grigio wine’s crispness primes the palate for food and pairs well with all seafood, cheeses, and spicy Latin fare. 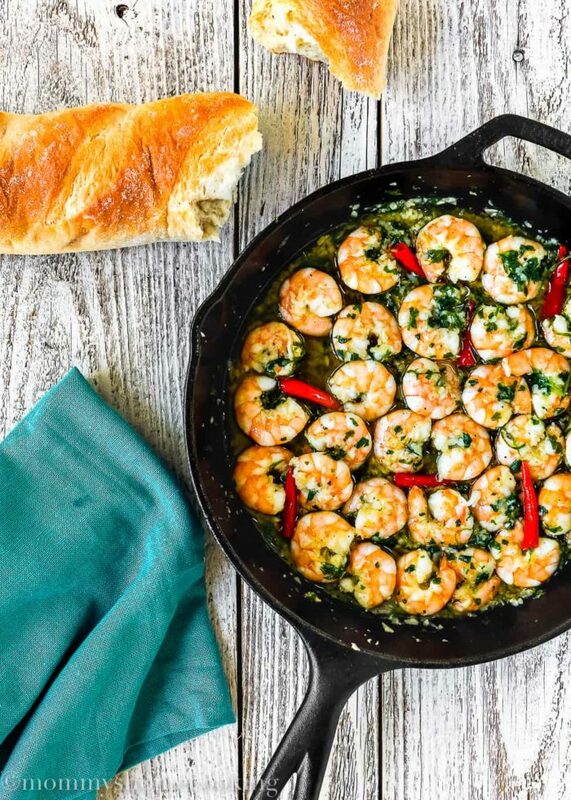 Making this Spanish Style Garlic Shrimp is overwhelmingly simple!! And they can be done in less that 15 minutes. Basically, you just heat up olive oil until hot. 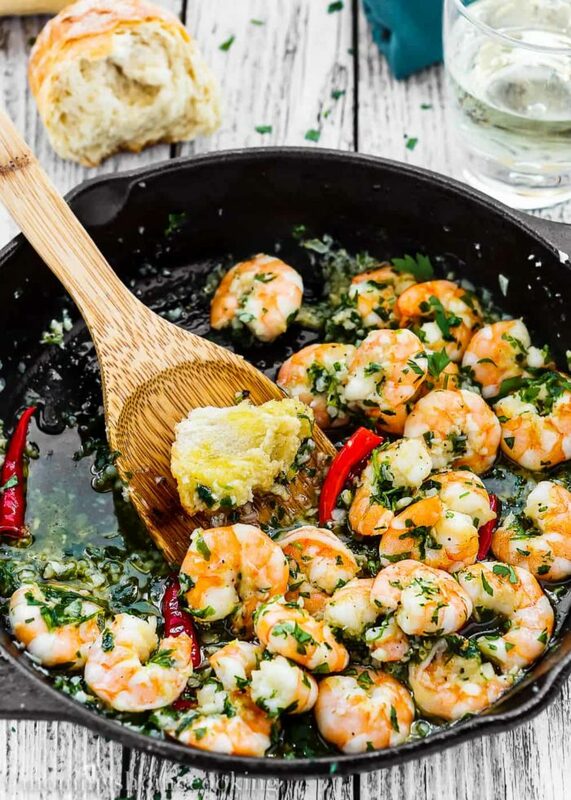 Add some garlic, perhaps some spicy red peppers for a fun touch, then add shrimp, cook them briefly. Then finish them off with a splash of white wine and a sprinkle of parsley. 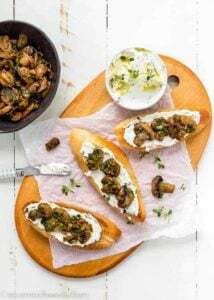 A delicious dish that can be server as a main course over pasta, zoodles, polenta, or rice, or even as an appetizer with some crusty bread (my favorite). Either way, they will for sure impress your guest. 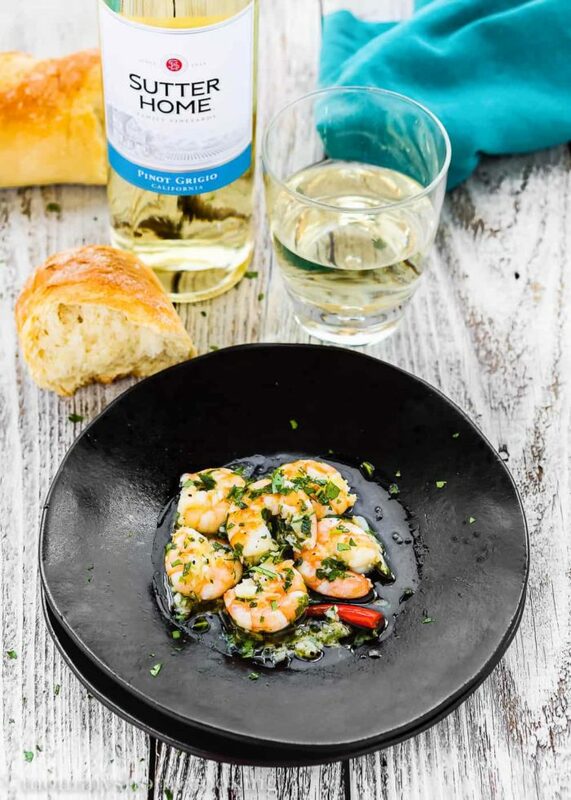 Pair these succulent shrimp with a glass of Sutter Home Pinot Grigio. It’s so, so good! Heat the olive oil in a large skillet over medium heat. Add garlic and red thai peppers and saute for 2 minutes. Stirring constantly to prevent burning. To serve scatter parsley over top and serve with a crusty bread, if desired. 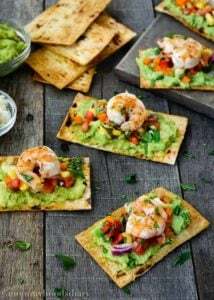 For more recipes visit Uncork The Moments site. And don’t forget to follow Sutter Home on Facebook, Twitter and Instagram. Riquisimos Mayito!! Y rapiditos de hacer ???? Gracias por tu visita ??? ?